You can clearly tell that within the dark and unsettling chaos of Funeral Chant‘s music there is a strong alchemy going on, and that a primordial fire burns bright within this band, shaping music that is refined, sophisticated, yet incredibly lawless. Coming to life through a lo-fi, raw, and disembodied recording quality are six songs which harness immense destructiveness and which are yielded by primitive and evil intents. As soon as you hit play on this fucker, the EP instantly charges forth at reckless speed literally assaulting the listener. There is some serious musicianship shining through the slim crevices of tightly woven chaos they summon – a swirling and murky hell of blind abjection that simply refused to recede or come to its senses. 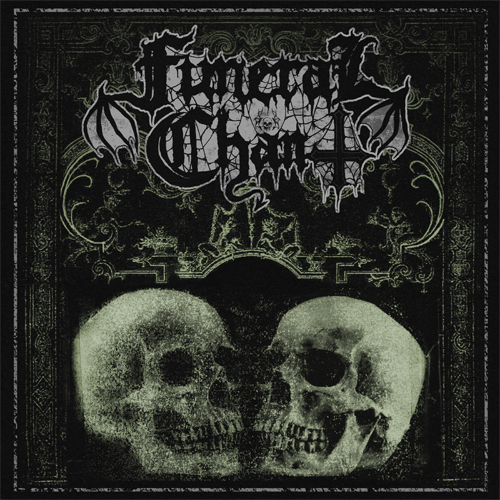 Overall, Funeral Chant‘s is spectacular and timeless music which shows an admirable adherence to an ancient and glorious tradition as well as a modern and very personal approach to creating highly hateful, raw, and antihuman heavy metal (Cvltnation).